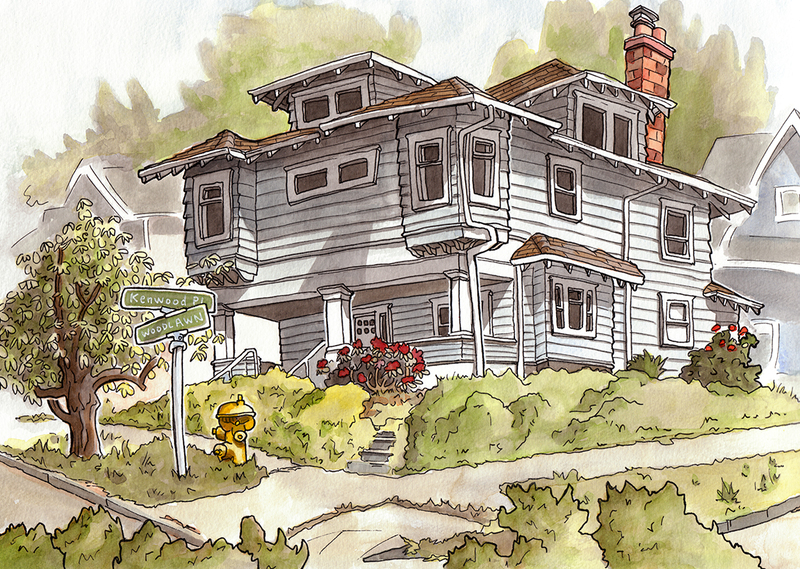 This house, two blocks away, caught my eye soon after we moved to our new place near Greenlake, but I waited for a sunny day to draw it. It's clearly abandoned and overgrown, yet it's on a prime corner overlooking Green Lake. Curious as to how such potential just goes fallow. I think there's a story about this house floating around. My brother lives nearby. Jane, I'd love to know more.